Coastal flying sites are everywhere around the world, which can sometimes offer even easier flying possibilities than mountain sites. The LittleCloud family has been exploring TurboSoaring for a while now, and the boundaries have been pushed pretty far by our crew in Holland. To be honest, I was quite skeptical in the beginning, polluted by some “legends”, that it could be safe to fly in strong wind. After some time and exploring the facts, I now understand that with the right equipment and techniques, the limits of soaring could be pushed really far! Through the years we have found that a special kind of performance was the key to this activity. Our development has focused on combining high performing gliders with an easy to use a design that has no over-reacting behavior in order to stay safe. First, for our soaring buddies in Holland, we developed a very special Goose Mk2 M which is based on the Goose Mk2 range, but at 16.5m2. This was the very first TurboSoaring dedicated glider (for medium to strong wind). 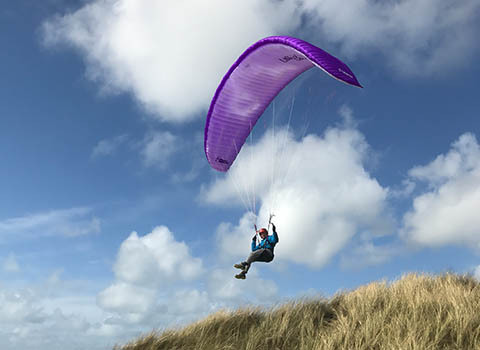 This special glider crosses over regular paraglider and miniwing designs. Full fun, great glide, and sharp but forgiving handling. 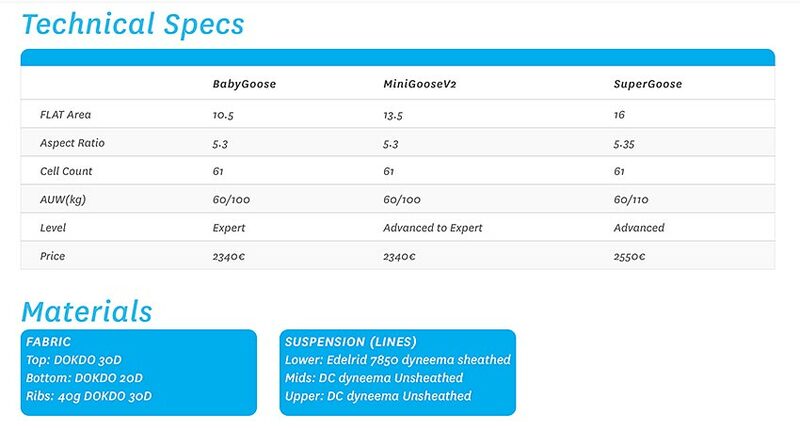 The actual range is composed with: – The SuperGoose: based on the MiniGoose V2, with some little extra tricks. It’s a relatively easy glider for soaring. Its range overlaps paragliders’ window. A good first step into TurboSoaring. But not only! I’ve been thermaling this one quite few time and it provide a lot of fun too! Direct handling, but smooth and not overreacting, pitch stable, dynamic, very efficient glide, all you need for some HappyFlying! The BabyGoose is a smaller version of the MiniGoose, dedicated to very experimented pilots. These gliders are providing an amount of fun that you have to be ready to stand….